Dreaming of Owning Your Own Bar? :Things to Conside... 0 Votes Up! How To Plan A Party On A Budget 1 Vote Up! Renaissance New York Midtown Hotel Opens with Wycl... 0 Votes Up! La Terraza de Óscar Madrid's Hidden Secret 0 Votes Up! Puerto Vallarta Resort Offers Tequila Education Pr... 2 Votes Up! PREY Restaurant Pop-up at 1 Hotel South Beach at S... 0 Votes Up! Glamorous Award show Party Drinks 3 Votes Up! How To Celebrate National Rum Day In New Orleans 1 Vote Up! Mr. Purple, Hotel Indigo Lower East Side 0 Votes Up! Non-Alcoholic Holiday Inspired Drinks 0 Votes Up! Festive Holiday Champagne Cocktail: ABSOLUT House... 0 Votes Up! Festive Holiday Champagne Cocktail: ABSOLUT Gold 0 Votes Up! Spotlight on Ribera Y Rueda Wine Region: Spain's T... 1 Vote Up! Recipe from Ribera Y Rueda Wine Region: Lamb Grill... 1 Vote Up! 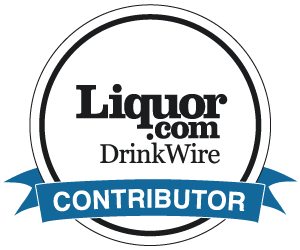 How to Use Review Sites to Promote Your Bar​ 2 Votes Up! Shay Mitchell & Stella Artois Say Bon Voyage to Su... 3 Votes Up! VH1 Save The Music Hamptons Live Benefit with Jaso... 0 Votes Up! Luxperience Connects Some of the Word's Finest Pro... 5 Votes Up! Signature Cocktails From NYC's Historic Roosevelt... 1 Vote Up! Top Places to Sit on the Beach For Hours With a Pi... 2 Votes Up! You Are Invited to Chefs and Champagne the James B... 1 Vote Up! La Nuit en Rosé Shows You How to Make Drinking Ros... 2 Votes Up! European Destinations to Experience Truly Transcen... 1 Vote Up! Row NYC’s District M and City Kitchen are making T... 0 Votes Up! Rooftop Films Piper-Heidsieck Special Preview of... 0 Votes Up! Visit the Largest Collection of Scotch at the Scot... 0 Votes Up! PIPER-HEIDSIECK the Exclusive Champagne of the Aca... 0 Votes Up! Phillip Fisher’s Secret Hot Tin Tini 0 Votes Up! Monaco Celebrates the Year of Russia at the Russia... 1 Vote Up!